CNN today released details of television ratings and statistics from their online coverage of the Southern Republican Presidential Debate in South Carolina. According to Nielsen Fast National data, CNN's GOP South Carolina debate (8:00-10:00pm*), moderated by John King, delivered 5.03 million total viewers and 1.72 million in the key demo 25-54 last night, Thursday, January 19. CNN was, by far, #1 during the 8-10pm time period last night among cable news networks. CNN's South Carolina debate outperformed FNC's South Carolina debate earlier this week (1/16) in the key demo (1.719m vs. 1.573m). Last night's debate was CNN's best yet in this election cycle among the key demo (25-54) and its second best among total viewers (behind the Las Vegas GOP debate). From 8-10pm, CNN topped FNC by +157% among total viewers (5.03m vs. 1.96m) and by +312% in the target demo 25-54 (1.72m vs. 417k). CNN also topped MSNBC by +512% (5.03m vs. 821k) in total viewers and by +1061% in the key demo (1.72m vs. 148k). Following the debate, CNN's Anderson Cooper 360 ranked first in cable news at 10pm in total viewers, averaging 2.58 million, FNC followed with 2.15m and MSNBC posted 885k. In the key demographic 25-54 CNN delivered 892k at 10pm, while FNC trailed with 564k and MSNBC averaged 187k. Fast National data is representative of 8:00-10:00pm. Final data will reflect actual debate time of 8:00pm-9:58pm. As CNN notes, those numbers were for the overnight figures. TV Newser has the final debate numbers here. CNN Press Release: The CNN Southern Republican Presidential Debate drove the social conversation Thursday night for the CNN Debate. CNN viewers posted on Facebook, engaged in the conversation on Twitter and 'checked-in' on GetGlue to share with their social followings what they were watching. · Who came out on top in tonight's Southern Republican Presidential Debate? 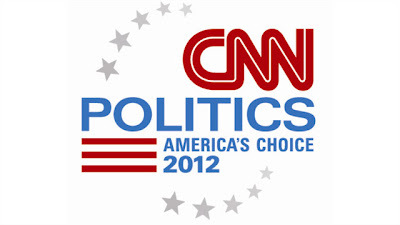 Live NOW on CNN.com: CNN's Jim Acosta hosts the post game discussion in the spin room with the candidates. - with nearly 1,800 likes and comments. · Interactions (likes/comments) for the South Carolina Debate content were up 90% from the New Hampshire Primary and up 67% from the average of the four debates last year. · The CNN Politics Facebook fan page added 9,000 new followers since the New Hampshire primary on 1/11 for a total of 61,000 followers. Posts on the fan page have generated over 5,500 likes and comments. · The CNNbrk account had 28 posts surrounding this debate which were retweeted 4,500 times. Retweets were up 406% compared to New Hampshire Primary and 258% from the average of the three debates last year. · The hashtag #CNNDebate was a trending topic throughout the evening, ranking as high as #1 Worldwide throughout portions of the broadcast. John King was also trending topic last night, ranking #2 in US and #4 Worldwide. · The CNN Southern Republican Presidential Debate had over 6,200 GetGlue check-ins and generated an estimated 1.2 million impressions across Facebook and Twitter. Meanwhile, debate moderator John King says he stands by his decision to ask Newt Gingrich about his marriage at the start of the Southern Republican Presidential Debate. King addressed the issue again on tonight's John King, USA.